Lot Size: 50ft x 179ft "W-156"
Approx 4000Sqft Extra Large Lot On Best Part Of Prestigious St, Walk To Shop, Doctors, Places Of Worship, Schools, Park. 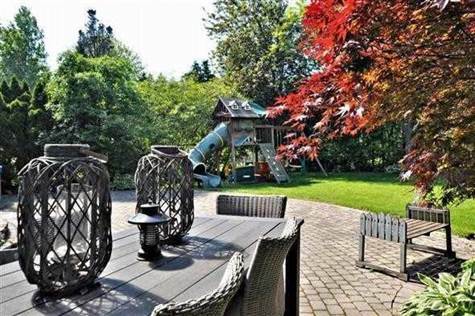 Sun Filled, Open Concept Renovated Recently, W/ Good Use Of Space For Family & Entertaining. Main Floor 9-10Ft Ceilings, Lots Of Cabinets, Built In Sound System, 3 Gs Fireplace, New Carrier Furnace & A/C. Views From Every Room To Private Gardens With Perenls & Irrig Sys. 6 Car Drvwy.